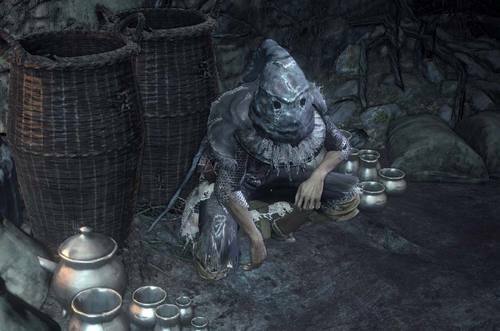 Hailing from the Undead Settlement, Greirat is a thief and a merchant, Greirat is imprisoned in the Tower of the High Wall of Lothric. 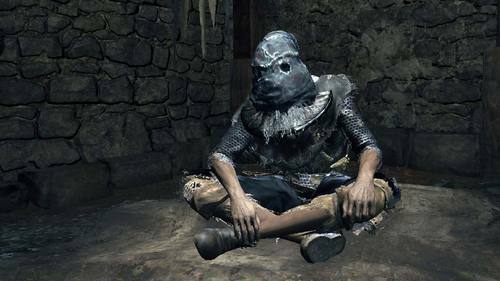 After being freed, he moves to Firelink Shrine. He had ties to the now-deceased Loretta, whom he will ask that you deliver the Blue Tearstone Ring to. Once the player brings him the sad news about Loretta's fate and shows him proof of her demise, he allows them to keep the ring and becomes a merchant. Not long after this, his services become temporarily unavailable, as all he does is grieve for her. Occasionally, since he is a thief, Greirat will ask the player if he is permitted to go on a pillaging run. Agreeing to his plead will make him leave the shrine for a while. On return, his stock of items will be upgraded. Unfortunately, he may not return from his second or third travels, depending on the player's actions.